The revolutionary Series 200 Advanced range delivers a totally new smoke detector platform that incorporates the new digital Series 200 Advanced Protocol. The new Protocol delivers more devices on the loop and gives greater control, reconfigurability and device management whilst enabling the overall system to be optimised to the location and use of the building with far greater flexibility than ever before. 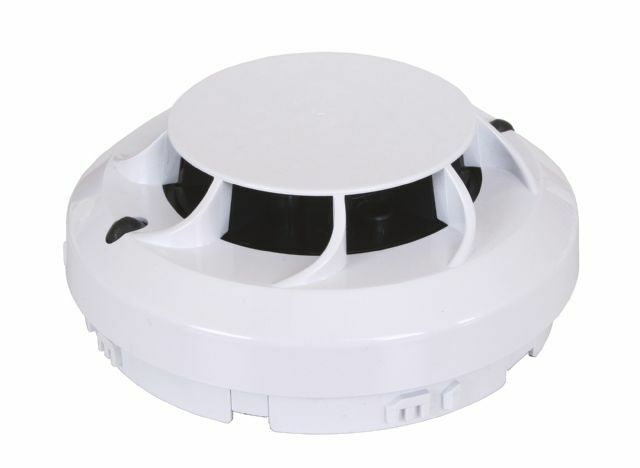 The 22051; photoelectric smoke detector has a completely new detection chamber design, the result of many years of research and design by System Sensor. This delivers improved responsiveness, reduced sensitivity changes caused by settling dust and reduced false alarms resulting from insect ingress and other debris. The plug-in unit uses sophisticated processing circuitry that incorporates smoothing filters to help eliminate transient environmental noise conditions that can be the cause of unwanted alarms. The smoke detector is managed by embedded software running complex algorithms that further improve resilience to false alarms and improve detection speed. The smoke detector 22051E has two integral tricolour LEDs that provide 360© local visual indication of the device status. The LEDs are programmable with static or blinking red, amber and green status indications available. All Series 200 Advanced smoke detectors are environmentally friendly and meet the WEEE and RoHS legislative requirements, minimising end of life disposal costs, and are mechanically and electrically backwards compatible with existing Series 200 plus devices.